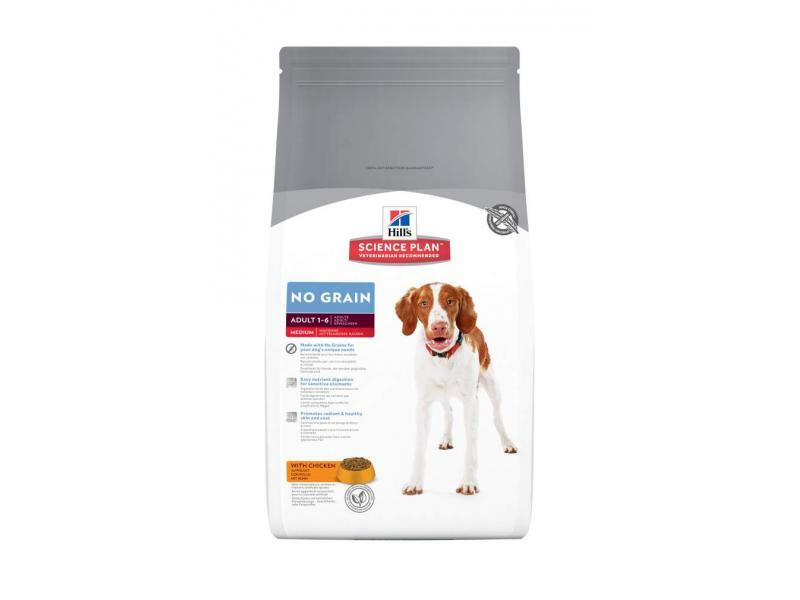 Hill's Science Plan Canine Adult No Grain Food is a precisely balanced nutritional grain free dog food made with natural ingredients and with no added grains or gluten for sensitive stomachs. with Chicken: Chicken (23%) and turkey meal, dried peas, potato starch, dried potato, animal fat, digest, soybean oil, dried beet pulp, flaxseed, minerals, vitamins, trace elements, taurine and beta-carotene. With a natural antioxidant (mixed tocopherols). There are currently no questions for Hill's Science Plan Canine Adult No Grain Food - be the first to ask one!